Before the Snow . . .
Life, as in its daily living and responsibilities, has intervened between me and my heretofore regular forays into the urban natural world. I have been devoting more time to earning a living, which by its very nature prevents me from experiencing the city’s wilder life fully and freely, even though it continues to exist off the grid, figuratively, whilst on the grid, literally, of Manhattan. My wife did take a rare personal day this past Thursday, so I did as well. After some mutual fun and adventure, I set off alone to enjoy the last hour of light before nightfall. I wandered down to Hudson River Park where I was rewarded with solitude, as a cold rain and wind had arrived, the vanguard of what may have turned out to be the final snowfall on this side of the year. Inclement weather is the secret ingredient to a solitary outing in the city, and this one provided me with the opportunity to walk upon the compact damp tundra of the park’s grass and assume some of the odder observational poses of the nature lover – extended bends of the knees and stretches of the neck – without public embarrassment. There was much to see. 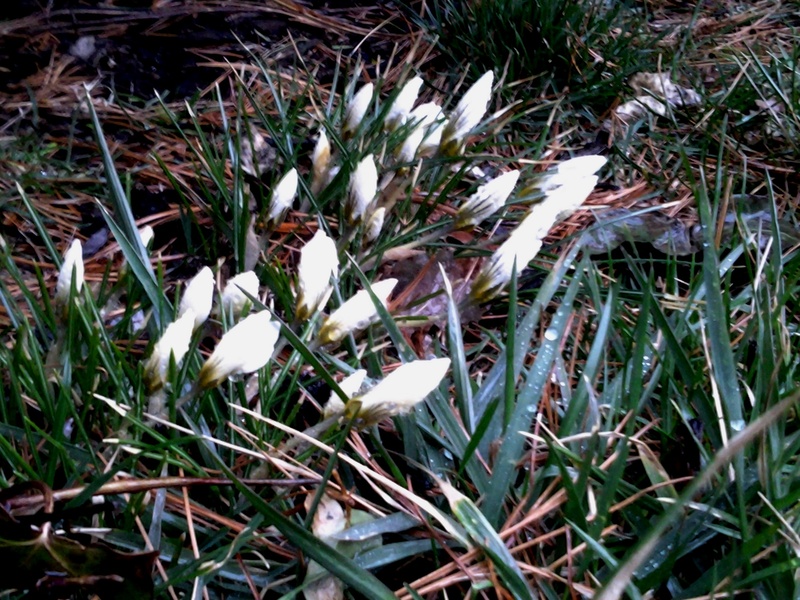 The steady rain had coaxed a lot of life from the slumbering ground of the winter season. Rich, pastel green patches of lichens covered many of the tree trunks and onion grass had sprouted around their bases. Along the edge of one small rise of ground I also found what I was most searching for – the first full blooms of the year; a patch of white feral croci of the family Iridaceae. 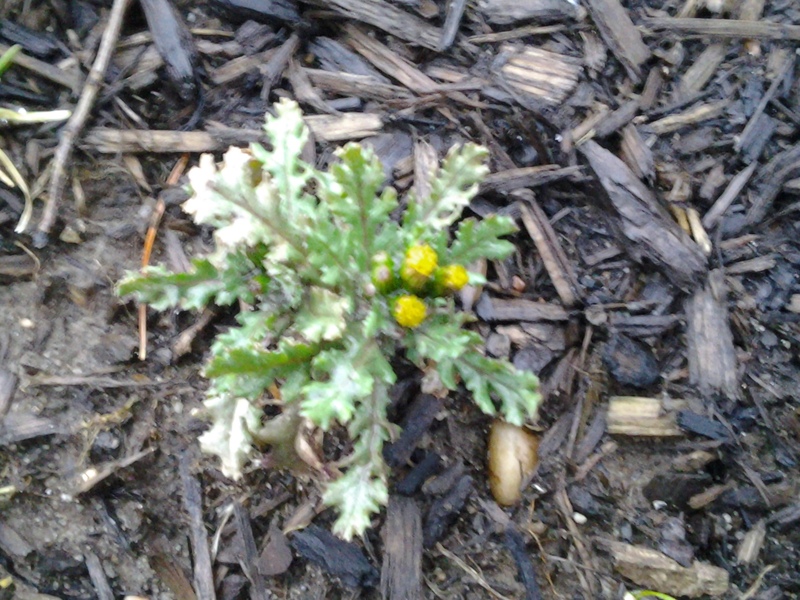 A few yards farther on, I found a single small Common Groundsel, Senecio vulgaris, in flower. Near the end of my little hike, and the available natural light, I walked along a thicket of hedges and found one more hardy variety, a confident sign of spring: the Common Snowdrop, Galanthus nivalis, huddled at the base of some bushes. I had only my smartphone available for photos on this brief, damp, and dimly lit outing, so the quality herein is not up to my usual standard, but the idea hopefully has been conveyed . . .
Once again there are wildflowers in the West Village. 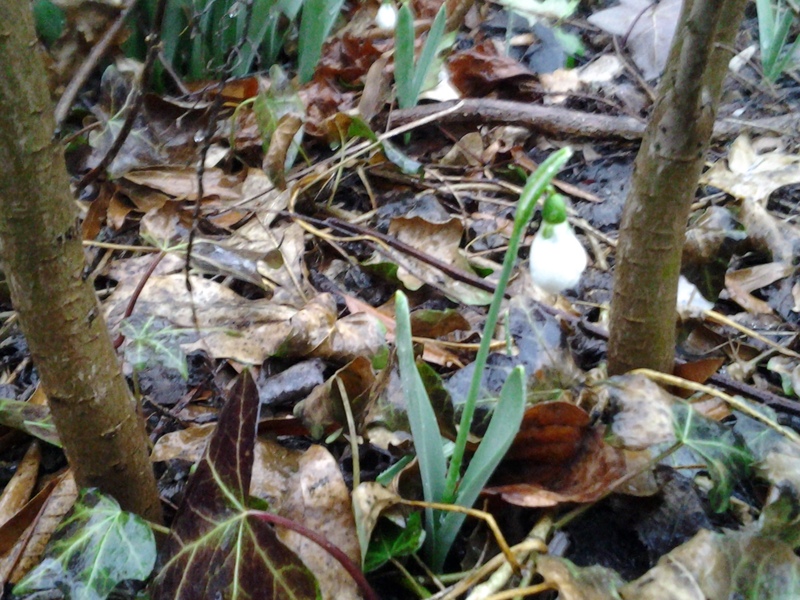 The dainty, but deceptively strong, snow drop….